Aminata and Markus Riva both competed for the first time in the national final Dziesma back in 2014 . None of them managed to win, as the winning song that year was “Cake to Bake” by the group Aarzemnieki which represented Latvia in Eurovision, failing to qualify to the grand final. Aminata had succeeded then with her song “Ι can breath” to reach the final where she fisnished 5th among 12 acts. The jury had placed her 3rd while the public voting in 7th place. Markus Riva the same year (2014) performed the song “Lights On” which qualified too to the final where he finished second last. Both jury and public voting placed him 10th. 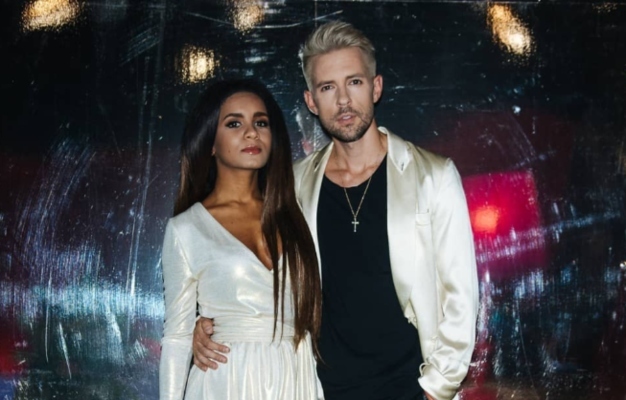 The following year the two of them meet again in the national final , but this time Aminata is crowned winner and represents Latvia in Eurovision in Vienna. Her song “Love injected” scored an excellent placing for the country as she finshed 2nd in her semi final and 6th in the grand final, although the juries placed her 2nd in the final too. Markus Riva that year almost won as he reached the Super Final alongside Aminata and two other acts and came 2nd. Despite his 2nd placing in 2015 he has never quited and keeps coming back year after year in the country’s national selection. In 2016 with the song “I can” he doen’t make it to the final. In 2017 with his entry “Dynamite” doesn’t even reach the semi final from the preliminary rounds. In 2018, more determined performs “Τhis time” and this time the public place him 2nd while the jury 7th , throwing him in the 5th place at the overall scoreboard. 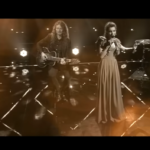 Would like to see Markus Riva represent Latvia in the Eurovision Song Contest ?